As you will see from our lake rules, we ask anglers fishing Beausoleil to use 25lb mainline as a minimum for both carp and cats. Too many times now I have seen anglers lose carp as well as catfish on line rated at 15 or 20lbs. 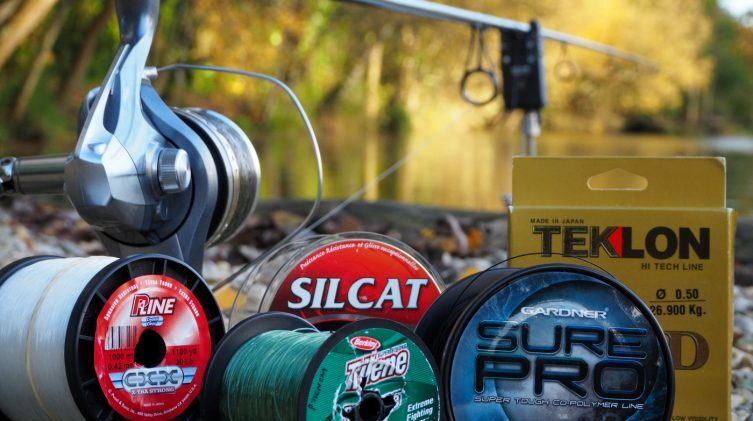 We want to make it easy for you to choose and purchase your line for Beausoleil because there are not many choices of monofilament carp line available in that strength on the market. We have created this buying guide that we hope will help you as you prepare for your trip. How strong is your line? Whatever line you choose, you want to be confident that it won’t let you down during a fight with one of our monster moggies. Other than the poundage labelled on the spool, there is no data available to confirm the strength of your line. So, to make sure that I am recommending good lines, I have done my own line testing. After tying hundreds of knots, what I have found is that even if it says 30lbs on the spool, none of the lines I have tested passed that (some won’t even get within 50% of that!). What knot are you using? We also discovered that your mainline will fail at different strains depending on which knot you use: a line rated at 30lbs that breaks at 15lbs with one knot but passes 30lbs with another knot is quite shocking. Overall, we found that the 5 turn double grinner and the Palomar knots performed poorly and were generally the weakest. It was a real surprise that the 4 turn blood came out as the strongest knot for a lot of the lines we tested. During our testing, we established that lines that were capable of consistently withstanding at least 20lbs of load should be capable of banking one of our larger specimens even during the most explosive and rigorous stages of the fight. You will find below the best line/knot combinations that passed at least 20lbs 10 times with the right knot. If you are interested, there is more information on the lines and the testing we’ve done below the table. Once upon a time Big Game was the top, if not the only choice for carp anglers but now the brand has been forgotten by many. During our testing, Big Game consistently outperformed lines that are more expensive and rated as being much stronger. The line consistently achieved 25lbs with the 4 turn blood knot which is excellent. Even though this line is available in 30lb+, the 25lb version is sufficiently strong for Beausoleil based on the testing we have done. At 0.48 in diameter, you will find it easier to fish with than the 30lb version in 0.55 diameter. The line sinks well, casts well and is extremely strong and tough. It’s also readily available online from multiple tackle shops and is excellent value for money. It’s now my number 1 choice of mainline for Beausoleil for both carp and cats. 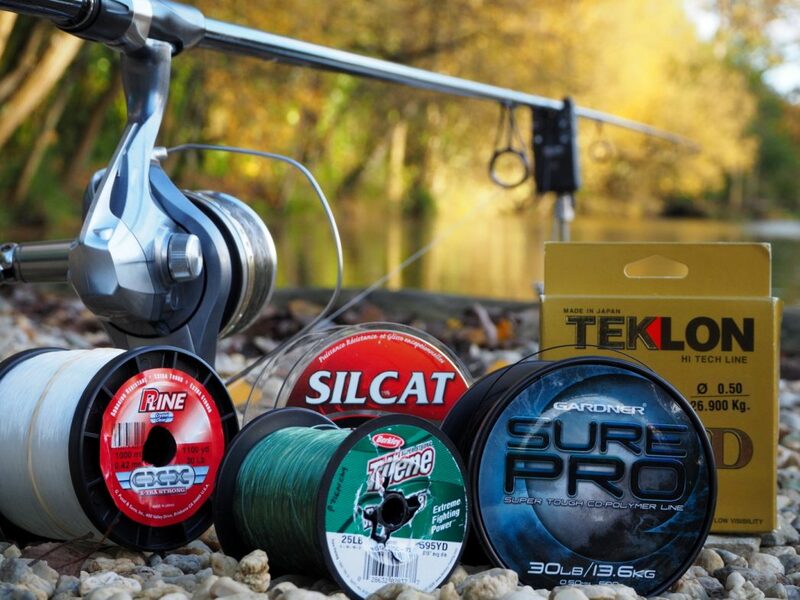 Teklon Gold is a well known sea fishing brand and is also used by catfish anglers. It may seem over the top to suggest a line rated at 60lbs but during testing, we found it much better and consistent than the 50lb version that failed multiple times at 20lbs. Don’t think this line will reduce your chances with the carp. I fished with it during the winter of 2016 and banked a number of fine specimens to 37lbs in very tough conditions. During testing, we had no failures at 25lbs with Teklon Gold in 60lbs, so it is very strong but it does have some memory issues. It is more expensive than the other lines in this table but a solid choice for the venue. We do not recommend using Teklon Gold in anything lighter than 50lbs. Gardner Sure Pro is a new line to me but I’ve been a fan of Gardner monofilament lines for many years. During testing, it showed 100% consistency at 20lbs but had some failures at 25lbs unlike the Big Game and the Teklon. I found it easy to handle and for a thick line, it’s supple with low memory. It didn’t cast quite as well as the Big Game but it wouldn’t restrict your fishing in any way. Again, we found the 4 turn blood knot outperformed all others and it regularly passed the 25lb mark. It’s only available in black which may put some anglers off but it’s not something I worry about at Beausoleil. 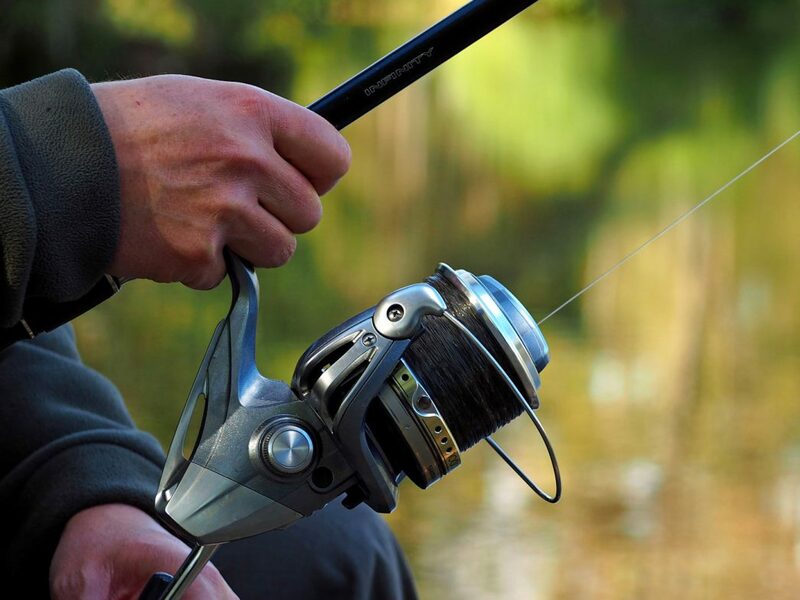 Daiwa Sensor is cheap, abrasion resistant, strong and readily available. During our testing, we found the best knot again to be the 4 turn blood knot and it had a 95% success rate at 25lbs. The main downside is that it’s not great to fish with! It casts poorly and has terrible memory issues . We’re including it here on the basis of its strength and availability. I discovered this line in my local tackle shop in France and I’m really impressed with it. It performed well enough in the line testing with no failures below 20lbs and I really enjoyed fishing with it. It handles beautifully. It is another solid choice for the venue, however, a bit more expensive and only available in France! I used to really like P-Line CXX X-Tra Strong in 30lbs and recommended it in the past. It is a very tough line and it is good to fish with but I was shocked by its inconsistency during knot testing with multiple knots failing several times at 20lbs. 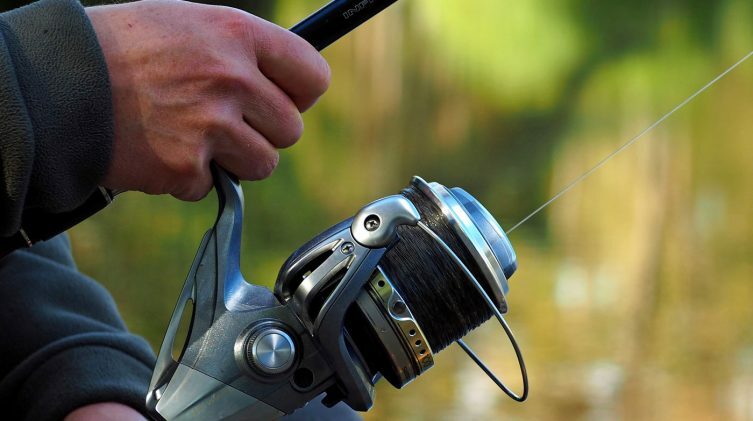 To fish confidently with it at Beausoleil, you would have to be extremely rigorous in your knot testing. Although I have never had it fail, it has let some anglers down in the past. I found the Shimano Tecnium in 30lbs tough, reasonably strong and a pleasure to fish with but very expensive. During line testing, it was disappointing because it did not pass 25lbs. If you already have this line on your reels, you could fish with it here but you would have to test your knots religiously. I would not recommend spooling up with it for your holiday here. Ultima F1 in 30lbs, Prologic XLNT Camo HP in 30lbs and Daiwa Hyper Sensor in 30lbs were very disappointing lines as they all failed at 15lbs with multiple knots. I would not recommend any of these for Beausoleil. To evaluate the relative knot strength of various lines, we designed a very simply pass/fail bucket lift test which anyone with a few buckets of water and a pair of weigh scales can do for themselves. I used 3 buckets with weights of 15, 20 and 25lbs. Every knot was tied to a size 8 ring swivel. The ring swivel was then connected via a quick link to two oval rings, tied to a short section of 45lb quicksilver. This enabled me to quickly loop the quicksilver round the bucket handle for each lift. I used a heavy rubberized glove and wrapped a few turns of line round my hand for each lift to protect me from line cuts. I also wore eye protection after a swivel broke and went sailing past my face! The buckets were lifted in weight order starting at the lightest first. After each lift a pass or fail was recorded. If the knot passed all three weights then the line was cut and a new knot tied. In most cases, up to ten knots were tied and tested. If a certain line/knot combination failed multiple times at 15lbs, testing of that line/knot combination was abandoned.